Just got engaged?! How to start wedding planning. Congratulations! You’re engaged…and probably overwhelmed with all the new information coming at you! Where do you start wedding planning? This is why I created a series of videos to help you step-by-step along the way. 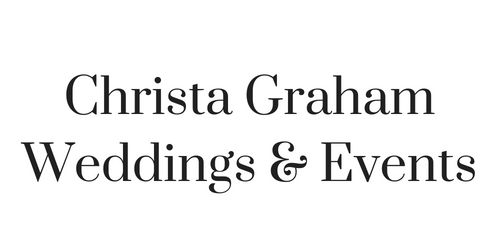 This first video covers the first things you need to establish when planning your wedding. With any luck, you have at least a year to plan your wedding. With that amount of time, it will be simple to split up all your tasks pretty evenly…and give you plenty of time to focus on each task. 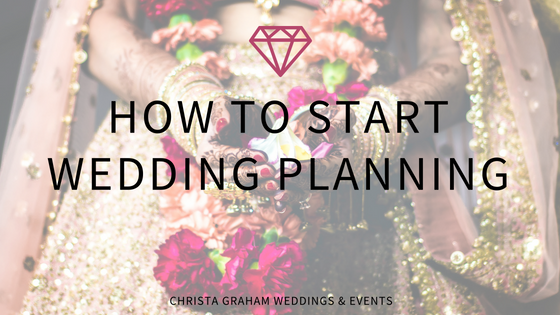 So, my video series starts out with items to plan 10-12 months before your projected wedding date. If your immediate families haven’t met each other yet, plan a get-together that will allow you to introduce them! Chances are, they will meet several times over the next year, so giving them a relaxed environment to get to know each other will be very helpful. Figure out who is going to pay for what…and how much money total you will have to put toward the wedding. Be realistic here. Keep in mind that, for most venues and vendors, you will be required to pay a deposit upon booking. The balance will be due in different time intervals leading up to your wedding date. Every couple’s budget planning will be different based on several factors. Do you have a lump sum saved already? Are your parents (or anyone else) giving you money for your wedding? Will you be saving monthly to pay for the wedding? Example: Let’s say you have saved $5,000 to put toward the wedding budget. Your parents will contribute $10,000. And you can afford to put $1,000/month from your paycheck toward the budget. Your wedding is one year away. Creating a tentative guest list will be helpful because so much of your wedding is priced per guest. You will also need to know this number when looking for venues because each venue has a maximum number of guests allowed. It is also helpful to organize your list into people who you most want to attend down to people who could possibly leave off the list. Knowing these two numbers, your total number of guests and your budget will greatly help you in the next stages of planning. Choose who will be your best man, maid of honor, bridesmaids, junior bride, groomsmen, flower girl, ring bearer, ushers, guest book attendant, singer/musicians, and officiant. You don’t have to ask them quite yet, just start brainstorming! Tour & book venues for ceremony & reception. You can’t book any other vendor until you set your wedding date. And you can’t say a date for sure until you’ve signed the venue contracts and paid your deposits. This is an important step before moving forward! Give yourself some time to tour several venues you are interested in before making a final decision. Take a list of questions with you! Research wedding dress & tux styles. Start researching possible honeymoon destinations. Read travel blogs and watch YouTube videos to get an idea of each location.